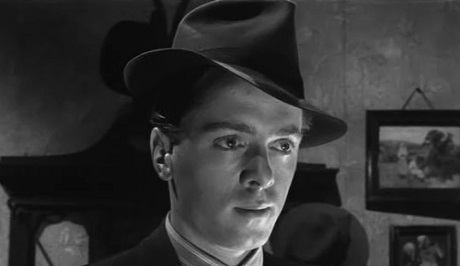 Looking back, it was a strange way to be introduced to the career of Richard Attenborough, who died on Sunday 24 August, but it was a memorable start. I was about eight years of age and the sentence was spoken by our elderly housekeeper, Annie Satterthwaite. She mentioned this when she saw that my brothers and I were watching a (then) innocuous semi-comedy called The Guinea Pig (1948), in which a young, moon-faced, cheeky chappy schoolboy (played by Richard Attenborough) was being canned and uttered the word as an exclamation. For some reason I remembered him and remembered Annie's memorable line (she was correct, of course – it was the first time that anyone had dared to say the word ‘arse’ in a British film! ), and so as the years rolled on I started to see his face in other films and piece together a career. Although he is remembered by film buffs for his acting performances as Pinkie in Brighton Rock or the unnerving Christie in 10 Rillington Place, he is probably best known by Brits-of-a-certain-age as a character actor who was always popping up in military roles, as either the cheery British Tommie (Dunkirk), the frightened young sailor (In Which We Serve) or the stolid airman (The Flight of the Phoenix), giving earnest support as a foil to a more flamboyant leading man. He was a very English actor, never handsome according to the Hollywood definition, but always there in the background, along with John Mills, defining the British stiff upper lip. His role as Bartlett in The Great Escape drew together all of these facets with aplomb. His metier, however, was film direction, and it was through the production and direction of films that he found that he could create. This was his chance to dictate the contours of a work of art and not just contribute to it. He cut his teeth on the ambitious, but flawed, Oh! 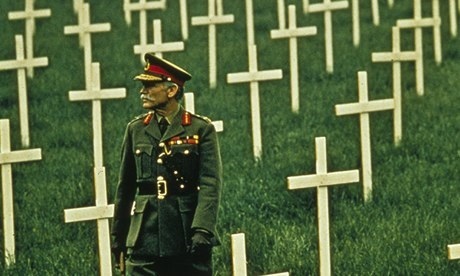 What a Lovely War in 1969, but then strode confidently into the popular blockbuster mould with Young Winston (1972), which captured with thrilling vitality the early life of Winston Churchill, escaping from the Boers with a death sentence hanging over him and establishing a political career that would become iconic for the 20th century. True artists have a vocation to create and communicate, and Attenborough was no different. He believed in things and he wanted to express them to others. In many ways he was not unlike his brother, David, who has channelled his remarkable energies into unveiling the mystery and greatness of our planet; but Richard always looked more to the human and wanted to tell the stories of the greatness he saw incarnate in the lives of particular people. If Martin Scorsese has focused his film artistry on exploring the darker, ambiguous side of the human condition in miniature, Attenborough chose the bigger canvas: he lit up his epics with brighter colours and set out to study humanity in a grander setting. In A Bridge Too Far (1977), an engaging and successful re-enactment of the Second World War disaster at Arnhem, he showed his ability to handle the logistics of telling a complex human story with a cast of thousands; and with this on his CV, he finally secured enough funding to realise his 20-year dream of bringing the life of Gandhi to the screen in 1982. In human terms, this was the pinnacle of his filmmaking career. It was an enormous critical and financial success, and dominated the Academy Awards that year, garnering 8 Oscars including Best Picture. His undisguised joy in accepting his Oscars (‘not just for me... but for the entire British film industry!’) was both loved and affectionately mimicked, and served to establish him as one of British cinema’s heavyweights. 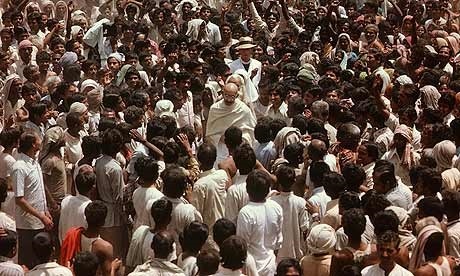 World peace was not just a vague notion for Attenborough, but a key part of his vision (he had an attraction to Buddhism for many years), and that was the driving force behind the making of Gandhi – to make an entertaining film that would inform, educate and make the world a better place. 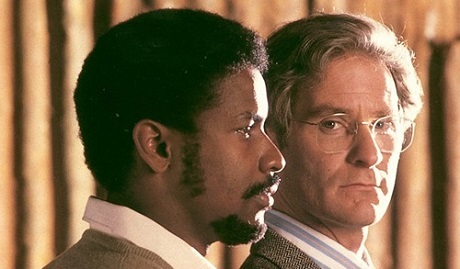 Although it will probably be held as his greatest cinematic achievement, it is perhaps his 1987 movie, Cry Freedom, which was the most influential. The movie tells the South African story of the life and death of the charismatic Black Consciousness activist Steve Biko. Once more it was a critical and financial success, even though political purists lamented the fact that Attenborough chose to give the lead roles to American actors and not to Africans (Denzel Washington played Biko, while Kevin Kline played Donald Woods, Biko's friend and ultimate biographer), and they complained also that the second half of the film was not about Biko at all, but was the story of Donald Woods’ escape from South Africa. Perhaps this best illustrates Attenborough’s idealistic pragmatism – he knew that unless the film told the story in an entertaining way, it would not reach the mainstream cinemas and thus would not touch the hearts and conscientise the minds of millions of people to make real the evil of Apartheid. With Cry Freedom, Attenborough arguably changed the global debate on the South African regime in a way that politicians, sportsmen, writers, musicians, academics, churchmen, journalists and documentary-makers had failed to do for decades. He took the simple thread of a normal friendship and projected it onto the big screen, and in doing so he unambiguously illuminated the untruth that lay at the heart of the sin of Apartheid. I remember watching a banned, illegal copy of Cry Freedom in a seminary in KwaZulu Natal in 1989, when the South African regime was still in place. The young black men watching were not tut-tutting the casting: they were enjoying the car chases and the thrills of the story, but they were also relishing their hero being played by a handsome, famous, black American movie star, and they were laughing at the Sotho jokes before the translations came up on the screen. They also saw the greatness of a man taking a stand against an unjust system and, in so doing, they got an opportunity to see that they too could play a heroic part in the liberation of the human spirit... and many of them tried. Right at the end of the Catholic liturgy, the priest dismisses the congregation with the words, ‘Go in Peace, glorifying the Lord with your life’ and Richard Attenborough did just that.